Are you an ocean lover with a passion to protect it but never knew how? Have you ever sat at your desk and wondered what it must be like to live and work in Paradise, calling the coral reefs your office and the amazing diverse species that inhabit them your colleagues? Well now it’s time to wonder no more and make that dream a reality! Become a PADI Instructor while you join the Gili Shark Conservation Project. 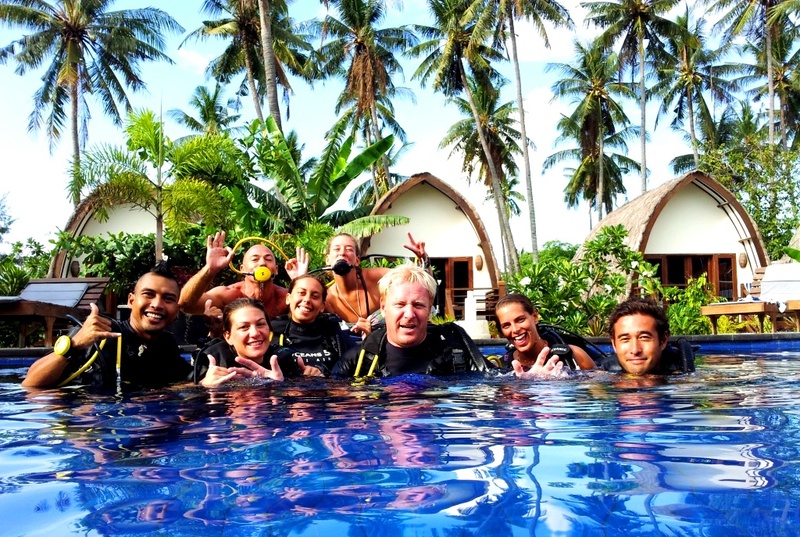 We offer a unique opportunity that will give you a once in a life time experience, working alongside highly experienced course directors, diving instructors and marine biologists from around the world. Our collaboration with Oceans5, a multi-award winning PADI IDC dive resort, who don’t only have an excellent reputation for their standards of teaching but also have all the materials and facilities you need to complete your IDC and pass the IE with ease, ensuring that you will enjoy the best training available and begin your career on the road to success. 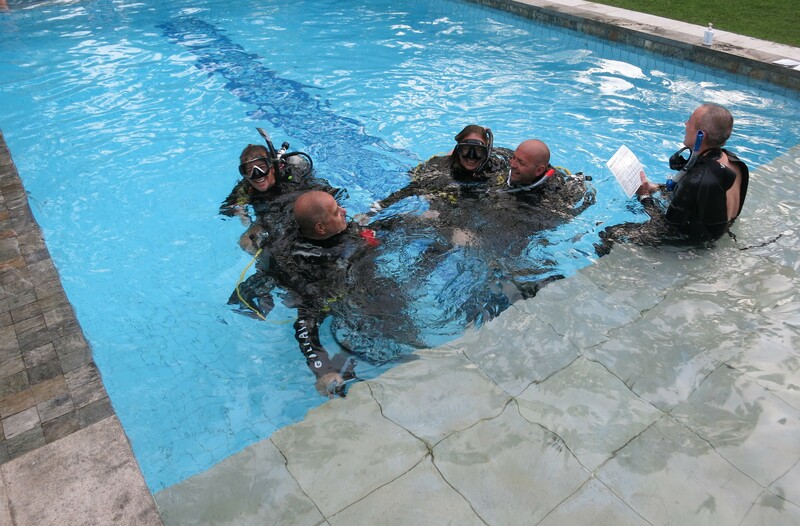 Oceans 5 Dive Resort has a 100% passing rate at the Instructor Exam. Turn you into a competent and confident diving instructor with the ability to live and work in tropical paradises all over the world. Give you the opportunity to expand your network, live on a beautiful island while you spend time with our international research team. 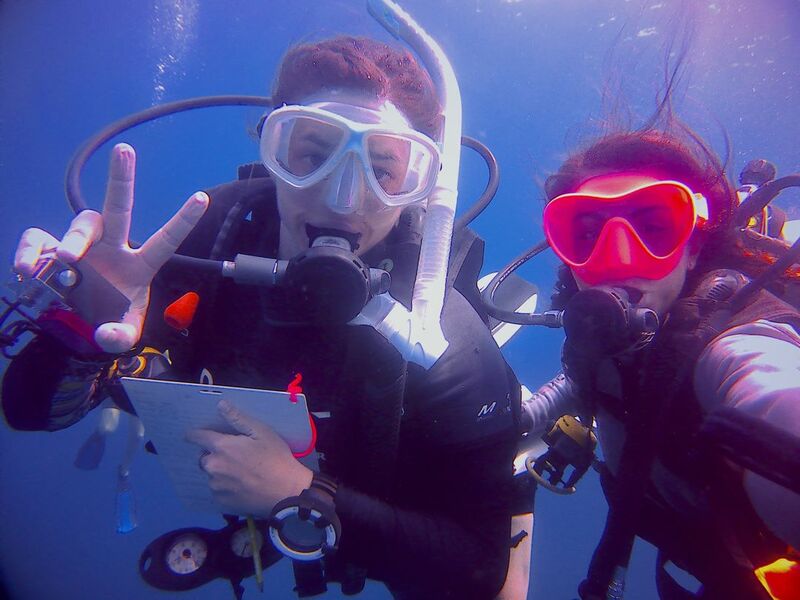 Trains you to be a scientific diver, gives you the ability to teach five different conservation specialties and show you the ins and outs of running a successful conservation program. Five Conservation Specialties; Scientific Diver Specialty, Shark Conservation Specialty, Coral Reef Specialty, Project Aware Specialty and the Peak Performance Buoyancy Specialty (6 days). In 6 weeks you will be a PADI Dive Instructor who can teach five conservation specialties and has two weeks experience of working with an international research team. 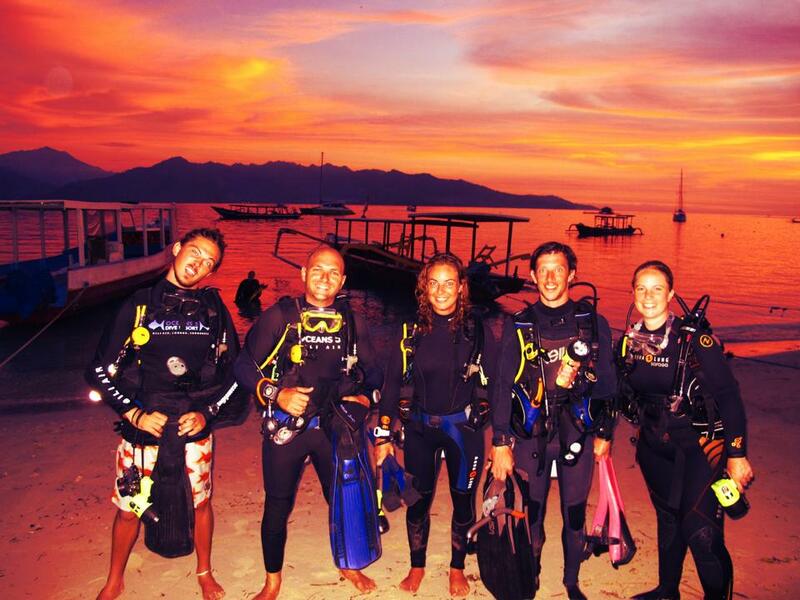 The price of our PADI IDC Conservation Package is 3500 EURO. 60 logged dives to start the Dive Instructor Training Course and you need to have 100 logged dives at the Instructor Examination (IE). Documented experience in night diving, deep diving and underwater navigation. Show proof of EFR Primary and Secondary Care course completion (or qualifying training) within the last 2 years. Submit documentation of qualifying certifications for entry level, advanced, rescue and leadership level. If you miss one or more of the prerequisites, just let us know. Together with you, we will look for a solution that will make it possible for you to join this unique opportunity . WHAT’S INCLUDED IN YOUR IDC CONSERVATION PACKAGE? We offer you complete package. Not only will you be a Diving and Emergency First Responder Instructor after following our program, you will also be able to teach five conservation specialties and you will know the ins and outs of running a successful conservation program. You will gain experience in how to structure learning, the requirements of performance-based training and your role as the instructor in the learning environment for teaching CPR and first aid. Because we want to give you the best start as a new instructor we offer you the following workshops as a bonus. This workshops are normally not included in an Instructor Development Course but will definitely give you something extra to start your new career. The Course Directors of Oceans5 Dive Resort will spend a week with you to teach you new techniques to add to the experience you already have in a specialty area and have fun fine-tuning your skills and teaching methods. After this week you will be a certified to teach these five awesome conservation specialties to your future students. 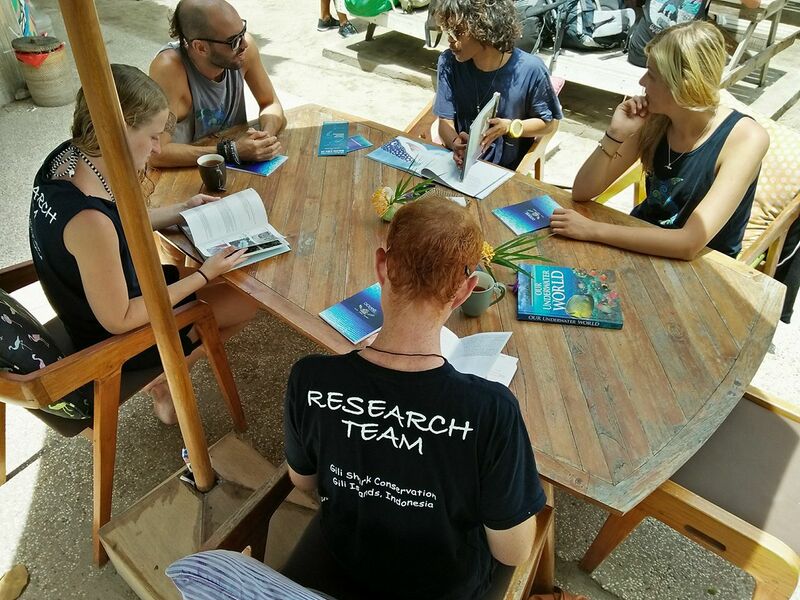 * Two weeks with the research team of the Gili Shark Conservation Project. Every day of the research team of the Gili Shark Conservation project is different. We divide or time between the magical underwater world, exploring the reefs of the Gili Islands, analyzing and inputting in our office and working in the field for our #PlasticFreeParadise campaign. During your 2 weeks with the Gili Shark Conservation Project we will teach you everything you need to know about a BRUV (Baited Remote Underwater Video) how to identify sharks & turtles, conduct survey dives, how to analyze and input data, how to work together with the local community and much more. You can read more about the daily life of our research members here . All your dives with the research team and breakfast on project days (Tuesday till Saturday) are included in your package. You have the option to live with our research team in one of the Villas of Villa Nangka for an additional fee. * Two weeks prior you start your IDC till the end of this program you can dive for free with Oceans5 Dive Resort. Fill in the application form below with a brief description on why you are interested in joining our IDC Conservation program and when your potential start month would be. Add “@gilisharkconservation.com” to your email safe list to ensure that you receive a response. Our program manager will review your application and you will receive a response within 3 working days. If we accept your application we will send you a short questionnaire to get to know you better and to complete your application. Pay your deposit to secure your spot in our research team within one week of acceptance. Book your flight and join us in paradise! If you have any questions or if you would like to have more information. Just send an email to sharks@gilisharkconservation.com. We’re always happy to help!